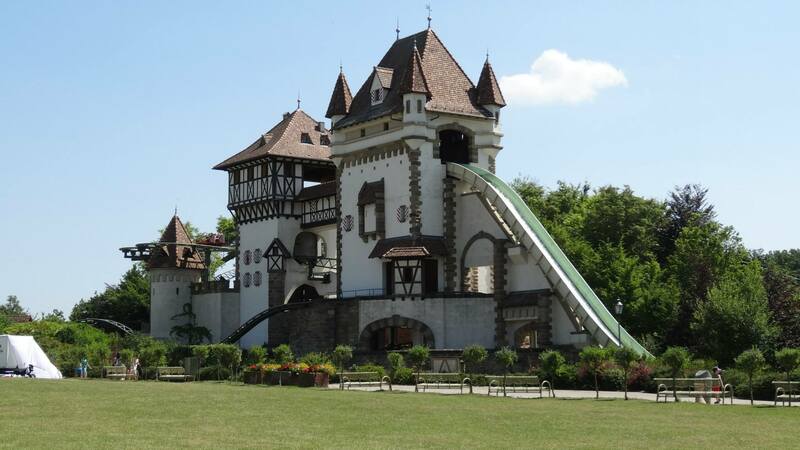 In 1977, Mack Rides introduced their prototype Log Flume at Hansa Park (Sierksdorf, Germany). 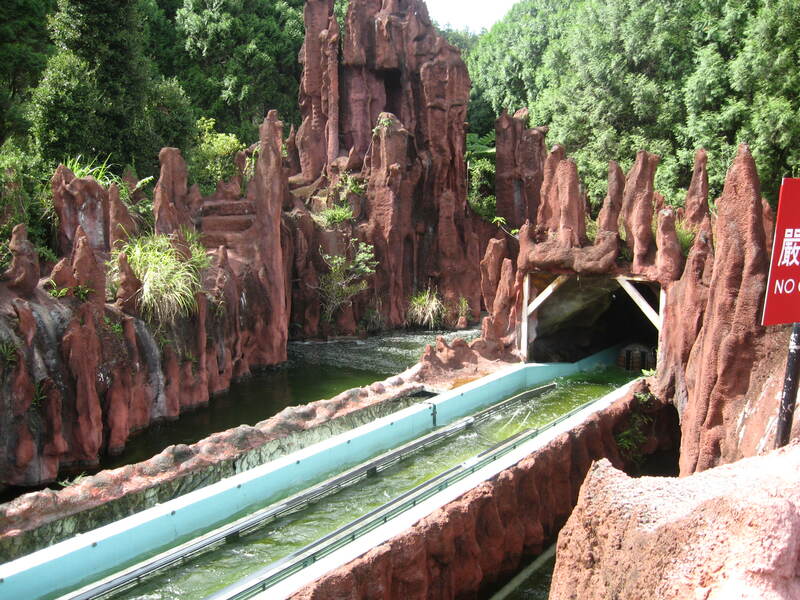 It features a first at the time: straight continuous loading on a water ride. Basically, a slow moving conveyor belt is used to slow down the boats when they come in the station and then riders exit and enter the boat as it moves. This helps capacity a lot while taking a fraction of the space and budget required for the Arrow turntable. Mack then introduced the flume at their park, Europa Park, in 1978. In 1992, Mack evolved the flume with the first backward drop on a flume. 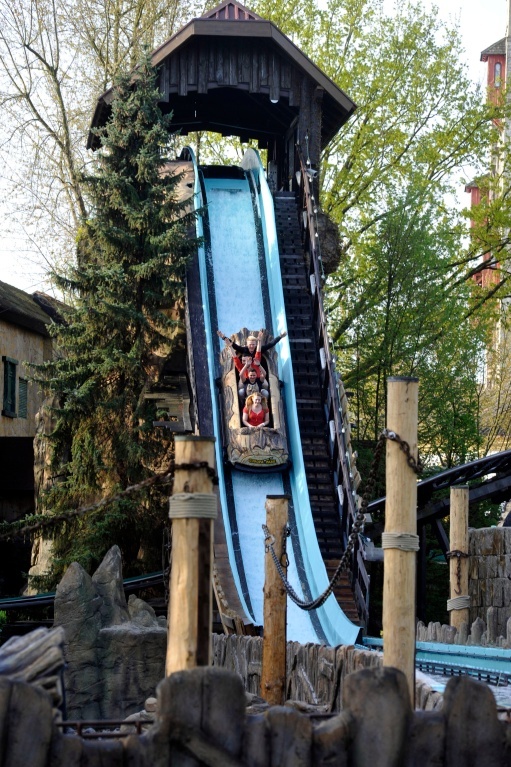 This was integrated on the “Teufelfasser” attraction at Holiday Park (Hassloch, Germany). Translated to Devils Barrel, two turntables were integrated into the ride with the first one pretty dramatic: devil figures work machinery that spins us around, a vase spews out fire and then we drop backward. After a short backward float, we enter another building and another scene sees more devil work gearworks to spin us forward. The ride concludes with a 66 foot tall double down drop, the first Mack ever did. The turntables are very efficient and simple mechanically. Once the boat is on it, it is secured at both ends and it rotates where it needs to be. A pneumatic plunger then pushes the boat out and then it spins back for the next boat. In 2014, Holiday Park is now owned by Studio 100. 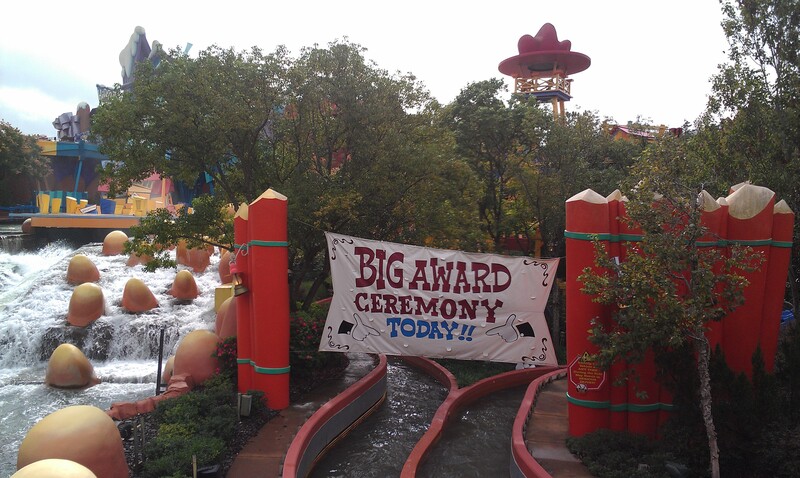 They are a cartoon company from Belgium and the decision was made to remove the devil theme from the park’s log flume. The outside buildings were redressed and figures from the Wickie the Viking cartoon added. The two indoor scenes were preserved, but the fire and devils removed. Neverland Themepark Projects realized this project and the ride was renamed Wickie Splash. Flashback at Walibi Belgium (Wavre, Belgium) opened in 1995 and features both a backward drop and a double down drop. The boat here is floating backward. This picture was shot in 2001, when the park was known as Six Flags Belgium. Throughout the years, Mack Rides has shown incredible flexibility with the log flume boat molds. 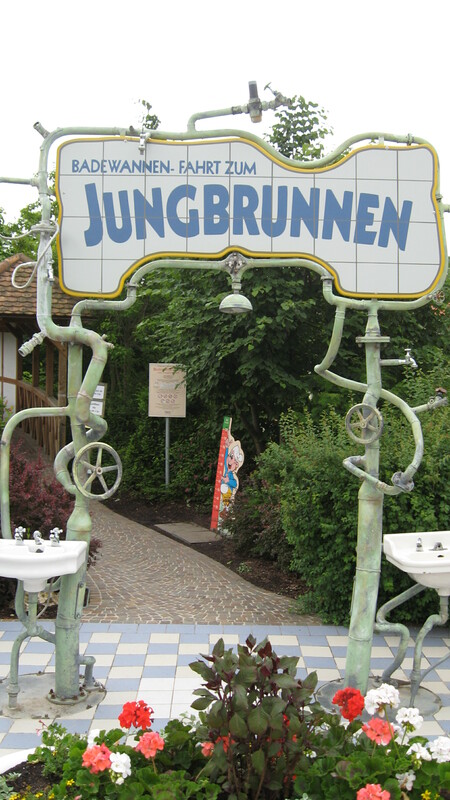 For example, Badewannen-Fahrt zum Jungbrunnen at Erlebenispark Tripsdrill (Cleebron, Germany) replaced the traditional logs with floating bathtubs, complete with shower poles! The attraction shares a castle with the G’Sengte Sau roller coaster. Picture appears courtesy of Flex. 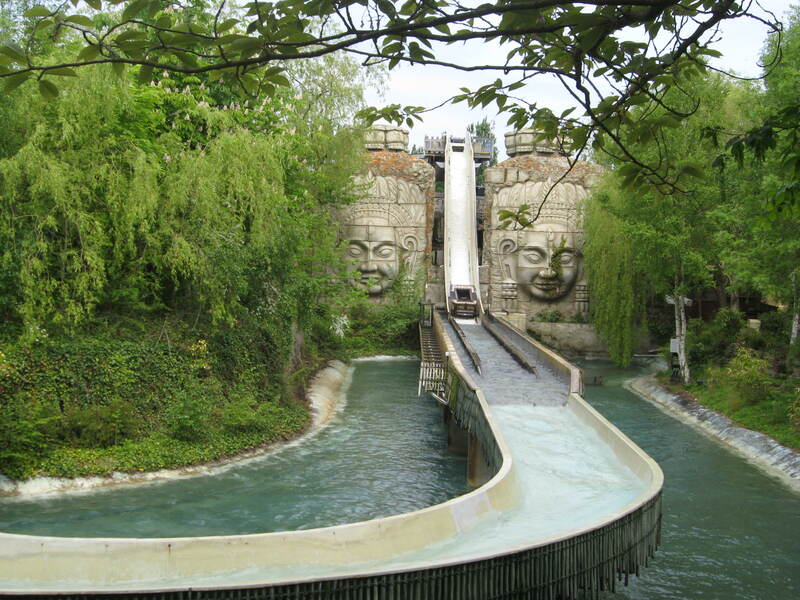 Mack Rides did custom boats for the Dragon Falls at Chessington World of Adventure (Chessington, United Kingdom). The ride features beautiful oriental theming and a trip through a dragon’s mouth. 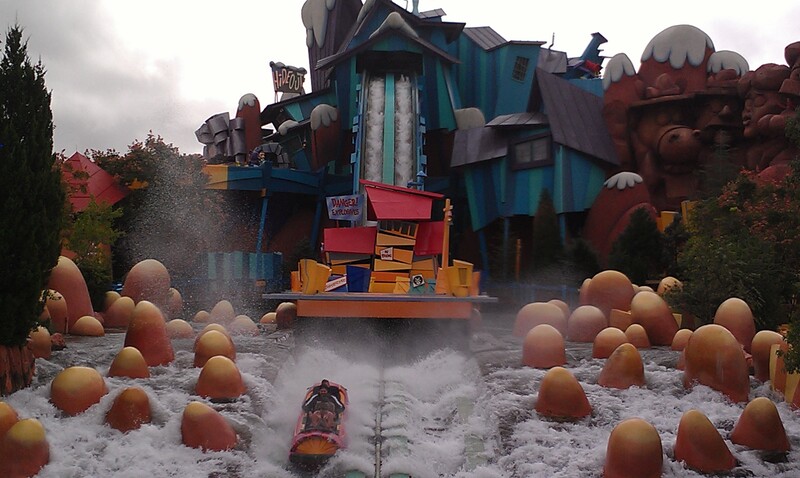 In 1999, Dudley Do-Right’s Ripsaw Falls opened at Universal’s Islands of Adventure. Designed by Mack, this unusual log flume is housed in a cartoon mountain and takes us through a wacky trip through the world of Dudley Do-Right. It feature 3 drops, including a “coaster drop” and the last drop is still the world’s tallest at 75 feet tall. 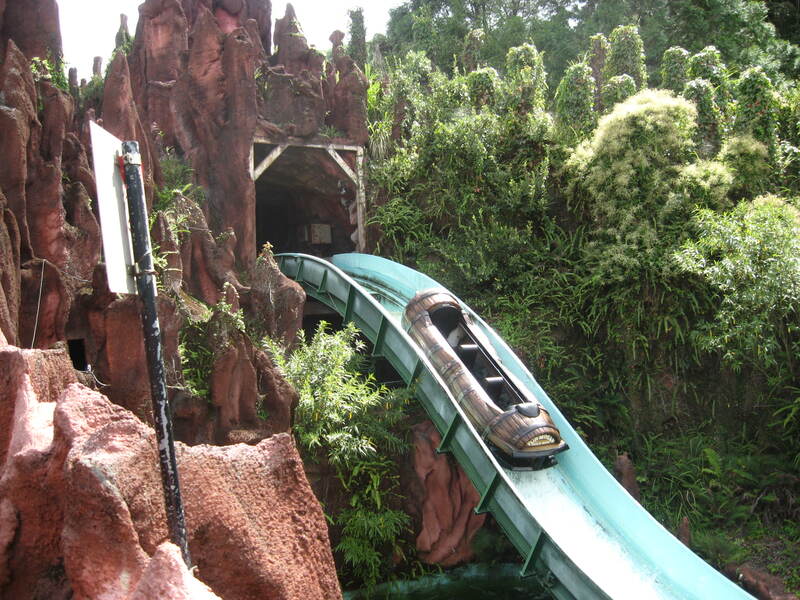 It has a very unique profile with a trip under an exploding shack and then a large airtime hill that concludes with a trip through water jets. That drop also has a double chute configuration similar to the older Arrow flumes. Notice the double chute drop and the water jets pointed at the rails that form the airtime hill. The ride two lift hills use chains to take the boats up and it is currently the only Mack log flume to use those. The boats originally featured space for 6 riders, divided in 3 sections of two. In 2007, the logs were refurbished to now feature 5 individual seats with a lap bar restraining each rider. In 2012, the lap bars were modified to make it easier for riders to exit the boat. The attraction features an outdoor loading station. Both channels than join back into one and the boats return inside for loading. 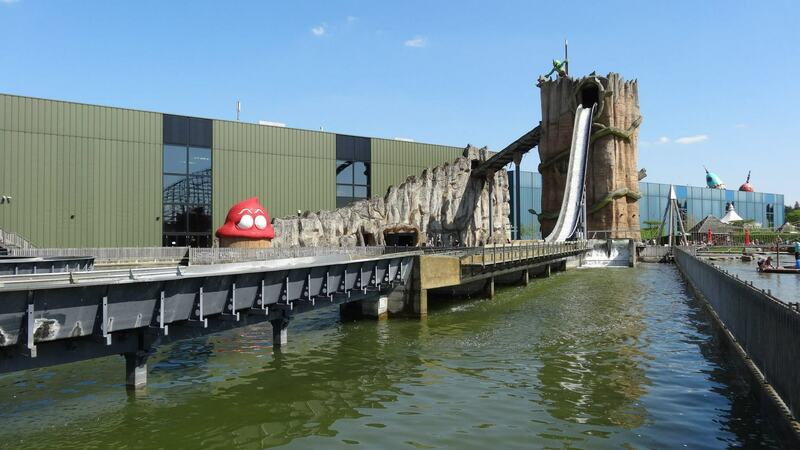 In 2004, Toverland (Sevenum, Netherlands) opened a new hall and one of the featured attraction was an indoor/outdoor log flume. Backstroke featured two drops and three turntables interestingly. After a short float indoor, the boat goes up a small lift hill and then goes into the first turntable. A short drop follows and then it heads toward the main lift hill. That lift is special since it is split in three separate rubber belts and near the bottom, the second turntable was integrated. The boat goes into it and is stopped on the second belt. The boat is spun around on the incline and is held by both the anti rollbacks and rubber belts. Then, it integrates the third belt until it reaches the outdoor section. It enters a large tree and a third turntable aligns it with the main 48 feet tall drop. The indoor portion of Backstroke. The drop is on the right and you can see the 3 parts lift hill on the left. 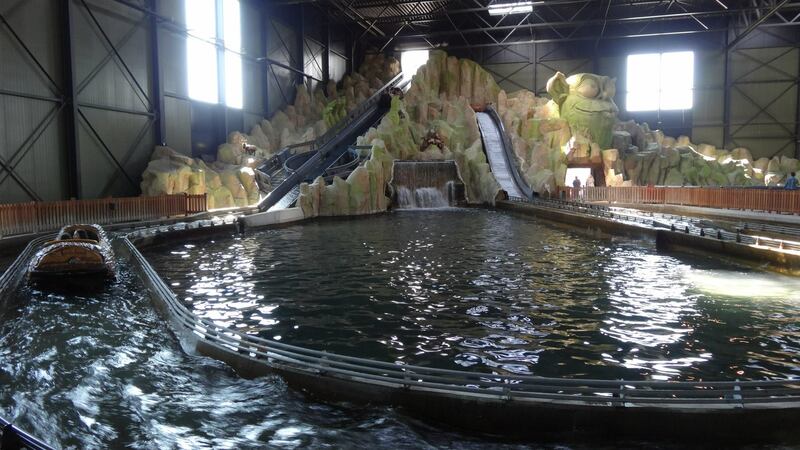 In 2005, Europa Park changed the molds on their log flume. Tyroler Wildwasserbahn originally featured 4-5 passengers boats divided in two. The new molds increased capacity by adding a second divider and allowing 6 guests per boats. 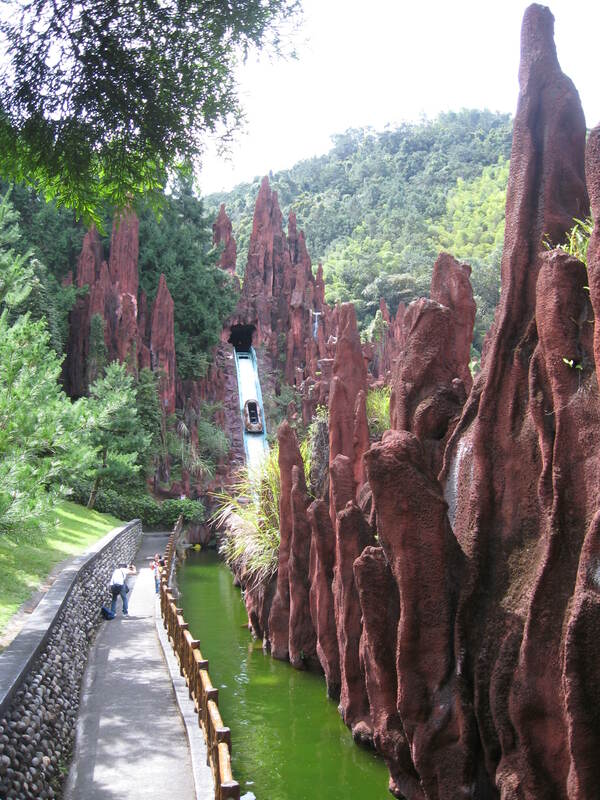 To date, in addition to Ripsaw Falls, this was also used on the Gold Rush Adventure at Formosan Aboriginal Culture Village in Yuchi, Taiwan. 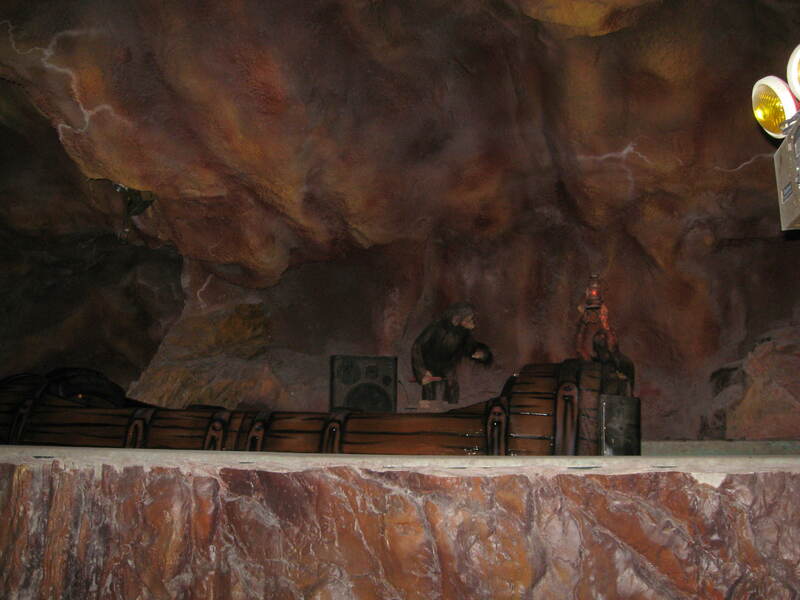 Gold Rush Adventure features incredible theming. A 6 seat boat used on Gold Rush Adventure. A boat going down one of the attraction drop. This entry was posted in Water Ride and tagged Europa Park, Formosan Aboriginal Cultural Village, Holiday Park, Islands of Adventure, mack rides, Toverland, Tripsdrill. Bookmark the permalink.